The first thing I install on a new computer or a computer with a newly installed operating system is an Anti Virus & a Firewall. If the operating system is Windows that is. Our Mac OS X computer doesn’t need one however there was a recent Mac OS X exploit making the rounds. This post was actually triggered by my visit to Best Buy today and I saw 2 people buying the bloated Anti Virus/Firewall software. It has been ages since I paid for these software as there are some excellent free firewall alternatives out there. And I just wanted to share it with you in case you are still spending big bucks on these. Or if you have wisened up already and exploring the options out there, you are in luck. Comodo is unique and has become my favorite as it combines the 2 most important utlities for any Windows computer – anti-virus & firewall. You absolutely need these 2 essential software to keep those nasty virus, trojans, rootkits, hackers out of your computer. Comodo Firewall is available as a PRO version as well and it provides a few extra protection features including 24×7 chat support for the software. Create custom scan profiles and use it across all scan types – like scanning your portable applications, etc. 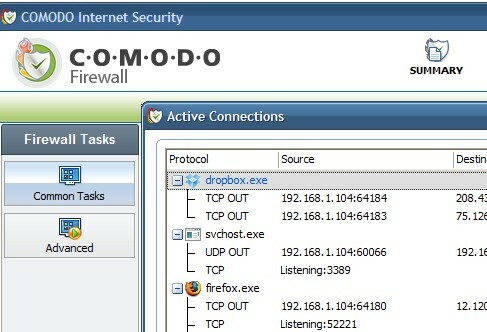 Comodo Anti-virus is also available as part of the PRO Internet SUITE version with the TrustConnebt and 24/7 chat support. I am not against paying for good quality software and the couple buying this were probably doing their part in the consumer economy. Again, I’d rather save as much as I can and try to use the free and good quality software available and spend my money on other things I need/want. Paying for software support makes sense for businesses. For home users, Comodo offers a perfect offer – FREE. There are also other free alternatives like the Zone Alarm’s Free Firewall, Avast Anti-virus, AVG Anti-Virus, Clamwin Anti-virus I have used and recommend. Sometimes I even use multiple anti-virus solutions if I suspect an infection. Couple of other free software I install as a must-have are CCleaner & for adware removal – Spybot Search & Destroy. You can see a list of my top free open-source software here. What is your favorite firewall, anti-virus software? I’ve been using Comodo Firewall for over a year now and think it’s a great product. 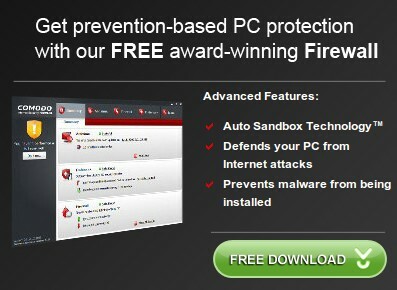 I’m stunned that they offer it for free, and adding antivirus protection makes it even better. Remember, it is also quite easy to “Be Your Own Computer Technician” now-a-days using the tools outlined here. I have Avast is that one good? This site lists some free Antivirus choices…not sure how credible it is. I’ve just installed Comodo Internet Security and I must say I’m really impressed that such a complete tool is free. It’s really easy to use and so far doesn’t seem to consume too much ressources.